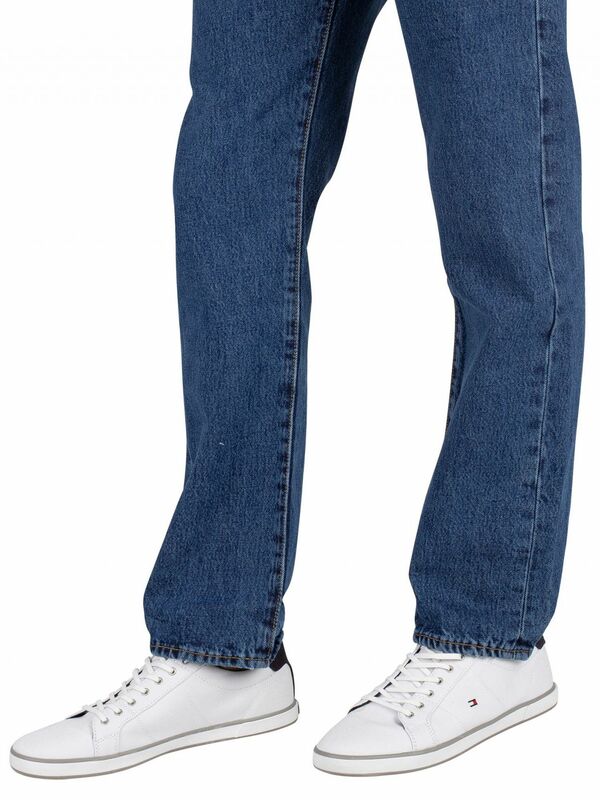 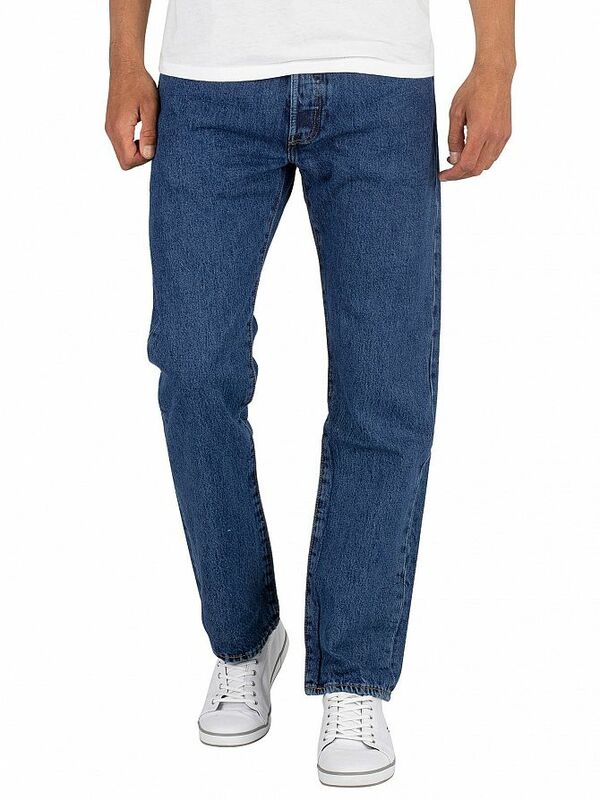 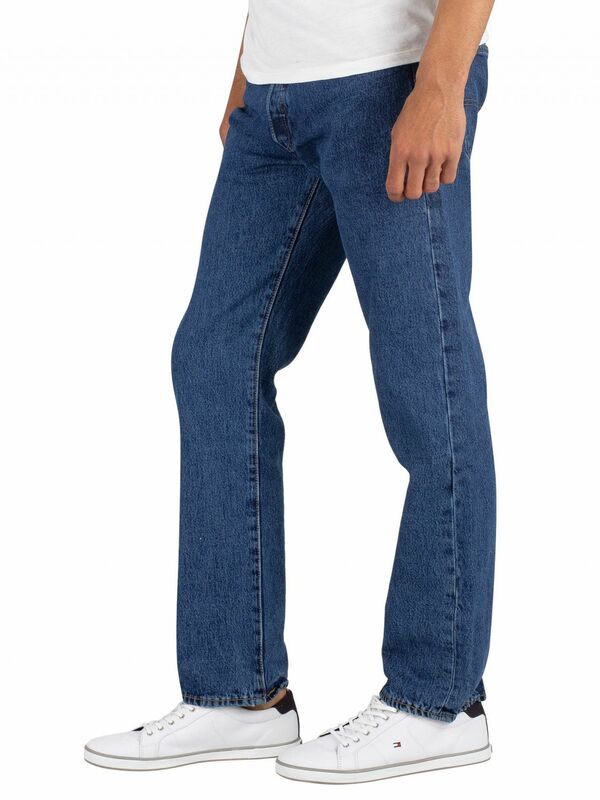 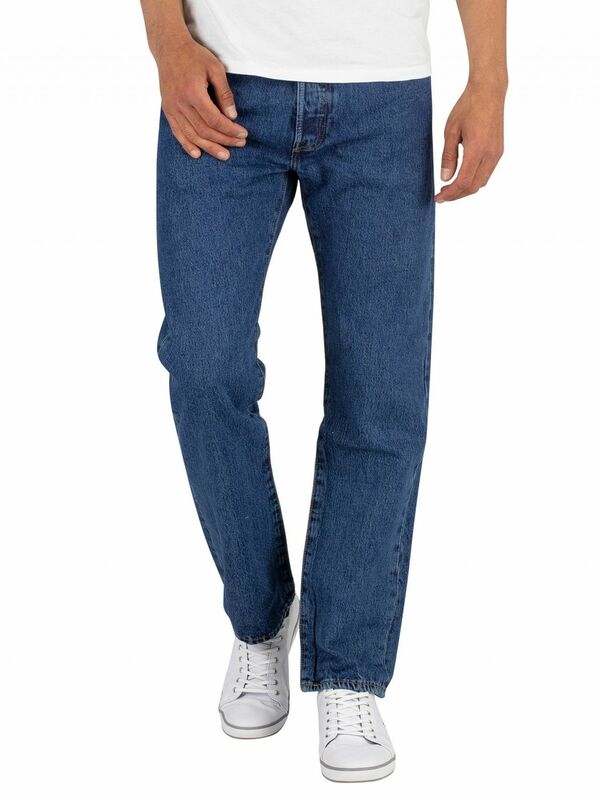 This Stonewash coloured Levis 501 Original Fit Denim Jeans for men features an open front button fly for easy donning. 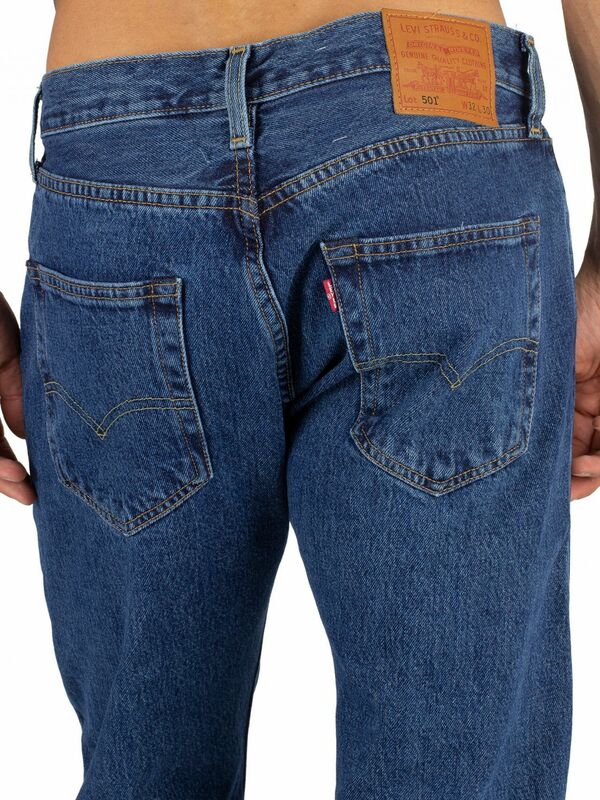 This pair of jeans has pockets to the front and reverse added with a small brand tab to the rear pocket. 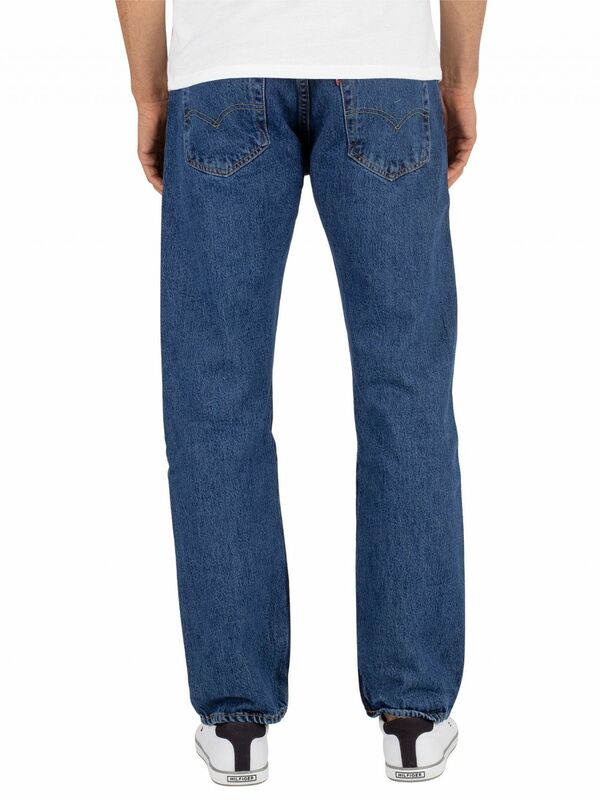 It has elongated belt loops for secured fit with brand tab to the waistline. 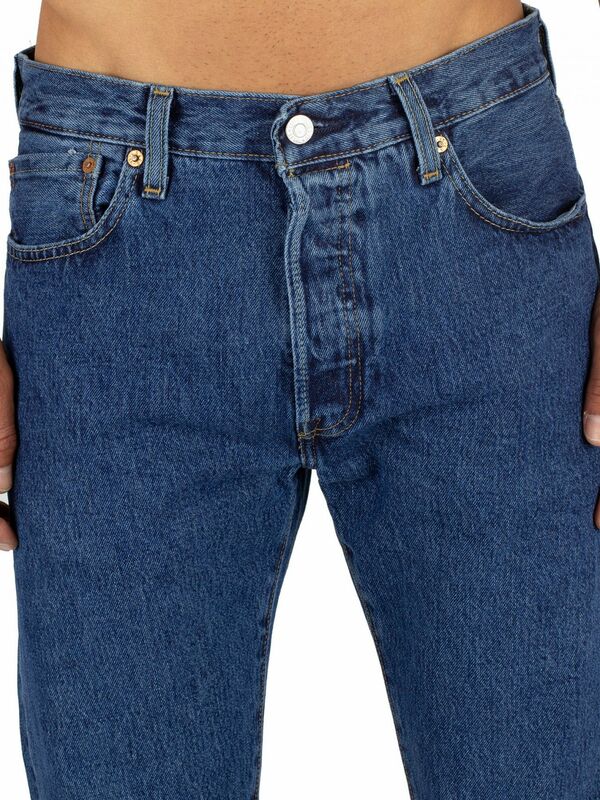 It is designed in a regular fit.